(21th, Jan,2014) Recently, technical engineers and sale managers of EverExceed Corporation just returned from Indonesia with great enthusiasm and good harvest, after spending one weeks in visiting Indonesia customers. During visiting Indonesia customers, EverExceed technical engineers gave customers UPS Installation instruction, professional technical training and spent a happy annual meeting with customers. EverExceed UPS power products with high quality and technology, are flexible for network and easy for installation with correct procedures. 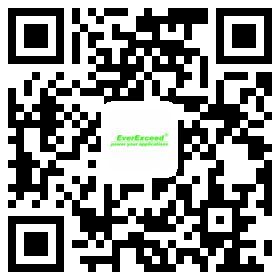 EverExceed Technical engineers friendly gave customers on-site equipment installation guidance, debugging, and field test. He explicated procedures step by step and patiently told them the do’s and don’ts. Customers were satisfied with this on-the-spot Installation Instruction and knew how to operate the UPS efficiently. During this customer visiting, EverExceed corporation appointed experienced technical engineers explained in detail to customers technical documents,operation and maintenance manuals, equipment features, analysis methods and the matters needing attention, etc. Above that, EverExceed engineers also answered and resolved related technical problems which were put forward by customers. Annual Meeting is a good way to sum up the past year and look forward to the future. EverExceed technical engineers and sale managers cheered with customers and spent a memorable annual meeting in Indonesia. This pleasant annual meeting communication enhanced the mutual friendliness and trust, and made a basement of cooperation in the future. With the completion of the tour to Indonesia, the image of EverExceed high-quality products, reliable performance, and good reputation was left on Indonesia customers’ mind deeply. The biggest harvest for this visit was the mutual trust and pleasant cooperation relationship.